If you are searching for an experienced Personal Injury Fort Lauderdale attorney, contact Robert E. Gluck at the Law Offices of Robert E. Gluck, P.A. Robert E. Gluck became an attorney in 1989, and has been giving legal guidance, and representation to clients since. If you have been in an accident, and have been injured as a result, Robert E. Gluck will work hard to get you the financial compensation you are entitled to get. You should contact an attorney immediately following an accident. Do not wait too long, because it can hurt your chance of receiving the best compensation possible. Your Personal Injury Fort Lauderdale attorney will launch a full investigation of the accident after speaking with you. Robert E. Gluck will work hard to put together all the evidence he needs to build a strong case. A case can be opened when the accident resulted from a car accident, medical malpractice, a damaged product, or slipping on another person's property. It is very important the injured person reaches out to an injury attorney as soon as possible after the accident. Legal representation can make or break your case. Studies show when an injured person has an attorney representing him, he has an increased chance of receiving financial compensation. 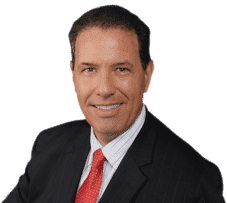 Robert E. Gluck, your Personal Injury Fort Lauderdale attorney, will find witnesses and speak with them about the accident, he will take pictures, secure video footage, and look for property damage. He will gather any information he finds that can be used as evidence in your case. Robert E. Gluck will make certain you are treated with respect and your rights remain protected. Contact him to legally represent you in your case, you will be happy you did. Your Personal Injury Fort Lauderdale lawyer will be at your side from the beginning to the end of the entire legal process. He will help you with any concerns you have, and answer all of your questions. Robert E. Gluck is very devoted to his clients, and always delivers excellent legal services. He truly cares about his clients, and fights hard for their rights. Call him today to being the process.